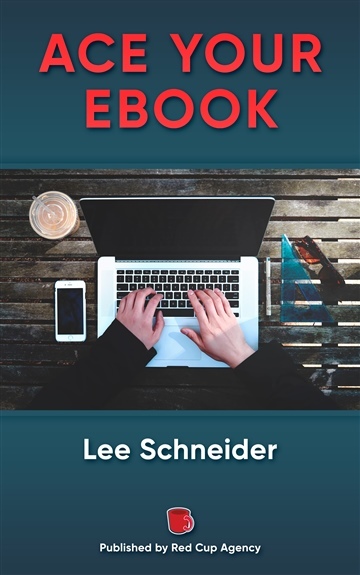 ACE YOUR EBOOK from Red Cup Agency covers the essentials of creating a nonfiction book. We discuss how to get your ideas into book form, whether starting fresh or adapting from material you already have, formatting for Kindle, iBooks, or Smashwords, as well as promotion and distribution strategies. If you are thinking about getting into indie publishing, becoming better known, and spreading your good ideas around, this is the brisk read you've been looking for. Lee Schneider is the creative director and editor-in-chief of Red Cup Agency. Red Cup produces podcasts, ebooks, and articles. The company was founded in 2010. Lee is married and is the co-founder of three children. He teaches a communications class for USC. Find him on Twitter as @docuguy. He was a writer on the iconic cartoon ThunderCats. His books include Be More Popular: Culture-Building for Startups, Chronicle of a Startup Town: Los Angeles, Powerful Online Message Delivery: Free and Low-Cost Platforms for Creative Companies and Individuals, The Angel Playbook, and ACE YOUR EBOOK.